Our mission is to provide authentic hospitality to our guests, interiors embroidered with hand painted walls & ceiling depicting the rich art work of the region, intricate painting made out of natural colours Few of the rooms provides such a lovely view that you’ll feel like you are in a boat, not in the hotel. The natural settings, the mesmerizing view of the old city, the mystical music of the lake. Here you can stay in our comfortable rooms offering lovely lake view. 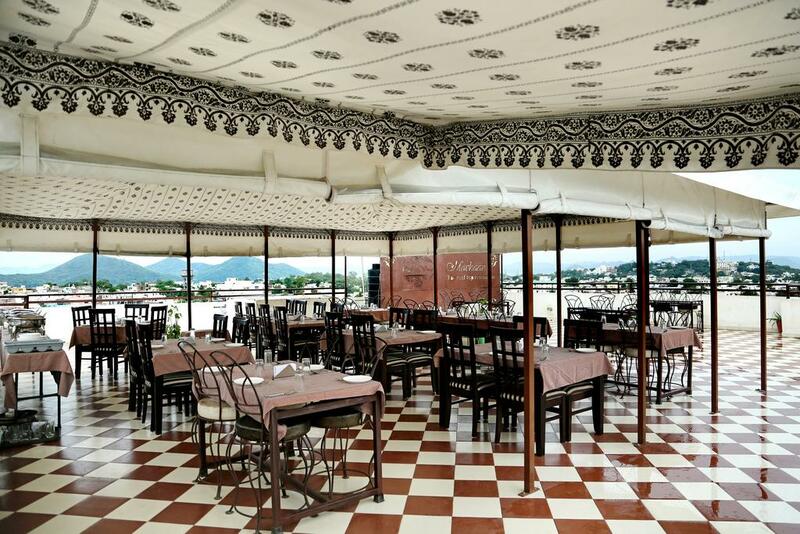 The hotel offers you two dining options one is the terrace restaurant and the other one is top-terrace restaurant, both the restaurants provides a wonderful dining experience with the lovely view, romantic ambiance, soft-music and the delicious food. You can have lunch or dinner at our restaurants. Other services offered by us Credit card acceptance, laundry, travel desk, doctor on call, room service, Internet cafe,etc. Backup Generator, Major Credit Cards Accepted, Complimentary Newspapers in Lobby, Front Desk, Breakfast Services, Room Service, Disabled Facilities, Recreation, Doctor on Call, Doorman. Wakeup Calls, Desk, Basic Bathroom Amenities, Child Care, Daily Room Cleaning, Safe Deposit Locker Facility, Reading Lamps, Complimentary Newspaper, Complimentary Toiletries, Bottled Water in Room. Banquet Facilities, Breakfast Services, Conference Hall, Doctor on Call, Laundry Facilities, Parking, Restaurant, Room Service. User reviews for "Royal Pratap Niwas Hotel Udaipur"